Before having children I had a picture of how it would be. Having my eldest at 16 years 6 months and 2 days old did mess up that image from the start. I still had aspirations. Being such a young mum gave me the will to fight for everything. To make sure my child had everything she needed. I went back to night school, college and made sure I worked damn hard. My life was devoted to my little lady. If you have read my post on guilt, you will know it’s something I’ve struggled with all my life. None more so when it comes to my children. I’ve always felt guilty she didn’t have a stable “normal” family. When I thought I’d found the answer to the “normal” family and married when she was three, it was far from normal. In fact a tremendously difficult seven years. Through everything, I’ve not stopped fighting for my children. I’ve tried to put them in the best school for their needs – sometimes meaning a change of school. When they’ve been in trouble, I’ve been there. I’ve always supported them and often through my guilt, made excuses for them. Whatever the world has thrown at me, I’ve tackled head on. I’ve pictured the day my daughter, who is now 20 years old, would leave home. Initially I thought it would be the day she went to university, but she decided uni wasn’t for her. I had an image of helping her to pack. Walking into her home for the first time and buying her a house warming present. This week those dreams all came crashing down, when in anger and hatred, she packed up her belongings and left home. The catalyst: not wanting to take her turn to clean the putrid bathroom she shares with her brother and tidy her pit of a bedroom. The real reason: she has no respect for me and does not want to live by the few basic rules which make our home (of a blended family) work for everyone. She is safe. She is staying at my parents. It sounds as though she is respecting their home. I have observed this happening before. 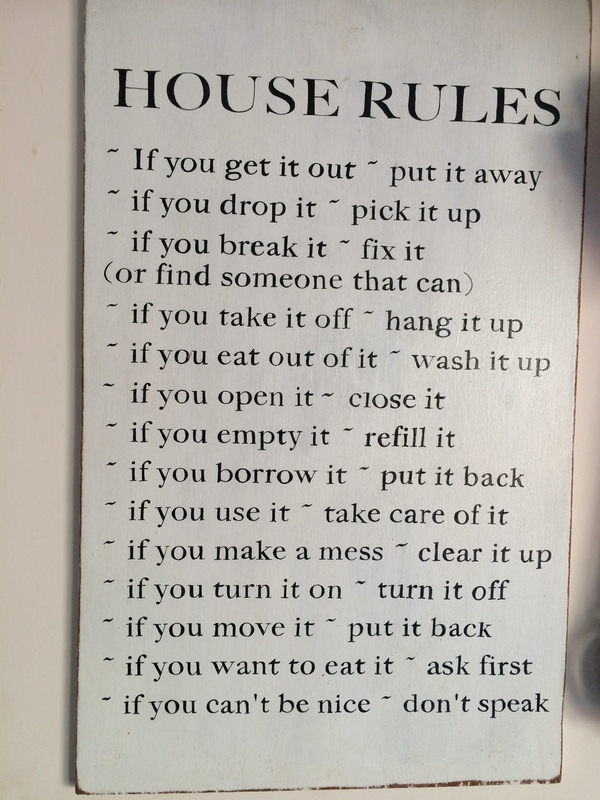 For whatever reason, the child reaches an age where they want to live by their own set of rules. Unfortunately it seldom works in someone else’s home. Even more rarely in a blended family! My motive for writing this post is not to air my dirty laundry in public – why would I? It’s hardly a proud moment when your daughter turns round to you and tells you she never wants to see your disgusting face again. It is to hopefully bring some peace to any other parents going through a similar situation. I’m sad, my goodness I’m sad. I am also at peace. She has decided her wings are strong enough now to fly on her own and make her own way in the world. I think they are too. I think this will be the best thing for her. Have I stopped loving her? Not a chance! Whether she decides to keep me blocked from her life or make contact again, I will never stop loving, thinking or caring for her – no matter what! Since the first moment I held her in my arms, I have loved her so deeply it’s unbreakable. Good job too really as parenting can be quite a challenge. Whatever decisions our children make as adults, as parents we have very little influence over. Whether it be the person they have chosen to spend their life with or the career path they take. We have to stand back and accept their choices – sometimes holding our breath! I only have one regret looking back. The lack of respect I had for myself. I wonder if I had more respect for myself, maybe she would have had more for me too. I can’t change the past, only the now. And now I will not allow anyone to speak to me like I am the scum of the earth, or treat our home badly – whoever that may be. For those of you still reading this shaking your head. Come and walk a day in my shoes. I haven’t always made the right decision, I am no way perfect. One thing you can be sure of is I have always tried to do the best for my family. I hope in time my daughter will contact me. That she will find her feet and choose good rules to live by. I hope she will shake off the victim mentality and become the victor. I love her to the moon and back and always will! How wrong can GPS tracking be? Thus is such a poignant and honest post about a situation any of us could find ourselves in. Thank you for sharing so bravely the tough love side of parenting. By sticking to your guns you will reap the respect and reward you so deserve. Love is patient and kind. Love is not jealous or boastful or proud or rude. Love does not demand it’s own way. Love is not irritable and it keeps no record of when it has been wronged. It is never glad about injustice but rejoices whenever the truth wins out. Love never gives up, never loses faith, is always hopeful and endures through every circumstance.